French digital artist Gilles-Alexandre Deschaud created an ambitious short film entirely from parts printed on the Form 1 +. 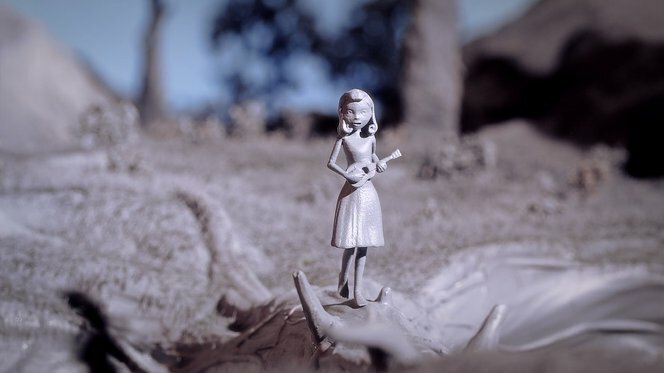 The story begins with a ukelele-playing girl walking through a magical forest. During her stroll, her shadow evolves into a monster who chases her through the woods. The animated film took 2 years to make and used 80 liters of Formlabs Clear, Black, and Grey resin to create 2,500 3D-printed pieces. Watch an interview with the filmmaker Gilles-Alexandre Deschaud and learn about the process. The set and characters for Chase Me were printed in 100 micron resolution, with minimal finishing beyond the removal of the support material. Bigger pieces, like the tree in the forest, were printed in 22 individual parts, then assembled. The set for Chase Me is made from 12 different assembled multi-print pieces.